This F.A.A. accepted process is a dry organic compound coating in which electrostatically charged particles of special resins and pigments are applied onto the crankcase, sub-assemblies, intake system, housings and related components. 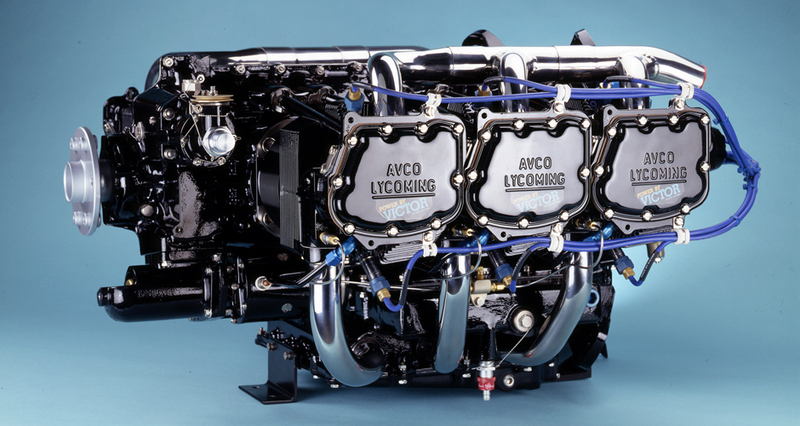 The engine’s crankcase and components are meticulously prepared, pre-assembled by Victor’s technicians, then heated and degassed in preparation for powder coat application. 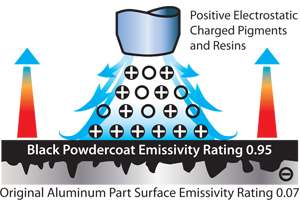 Then the positive charged particles are pneumatically sprayed and adhere to the negatively charged part’s surfaces and finish baked in a curing oven at 400 degrees Fahrenheit to form an extremely tough, durable surface. In effect this fuses the premium formulated powder to the components filling the rough, porous surfaces to prevent aluminum oxide corrosion and reduces surface fatigue cracking. 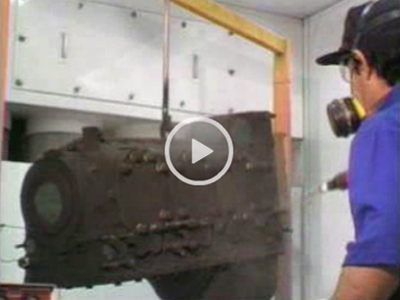 Due to the special nature of Victor’s special black powder coat engine heat emissivity is also improved. 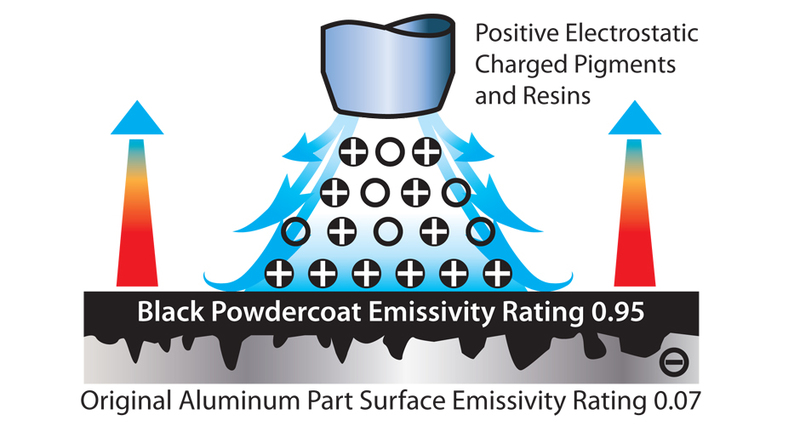 Emissivity is a measure of the efficiency in which a surface emits thermal energy and can result in improved parts life. Harley-Davidson backs up its in-your-face slogan -- "It's one thing to have people buy your product - with a solid record of performance. It has set sales and production records for 14 consecutive years. A lot of factors are responsible for its economic success and near-cult brand loyalty. 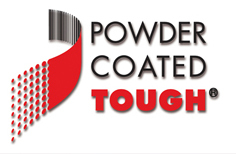 One of the most important has been powder coating.